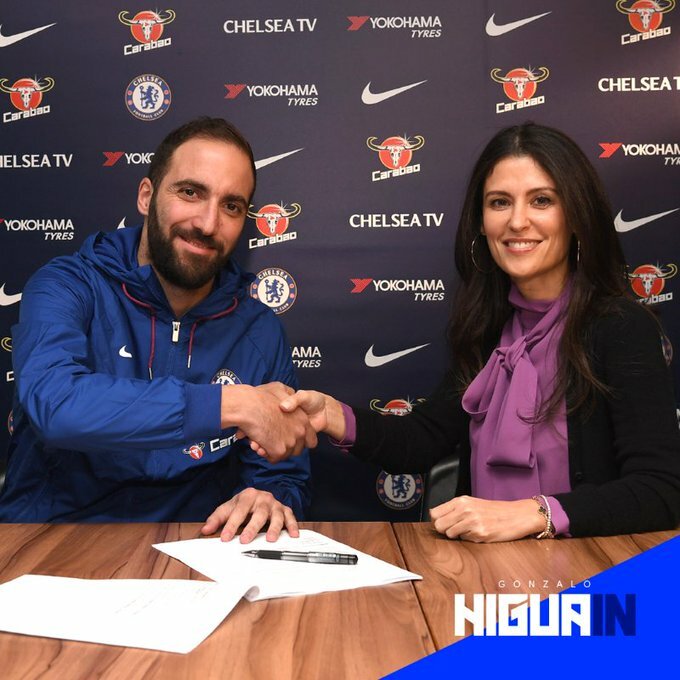 Gonzalo Higuain has today joined Chelsea on for the remainder of the season. 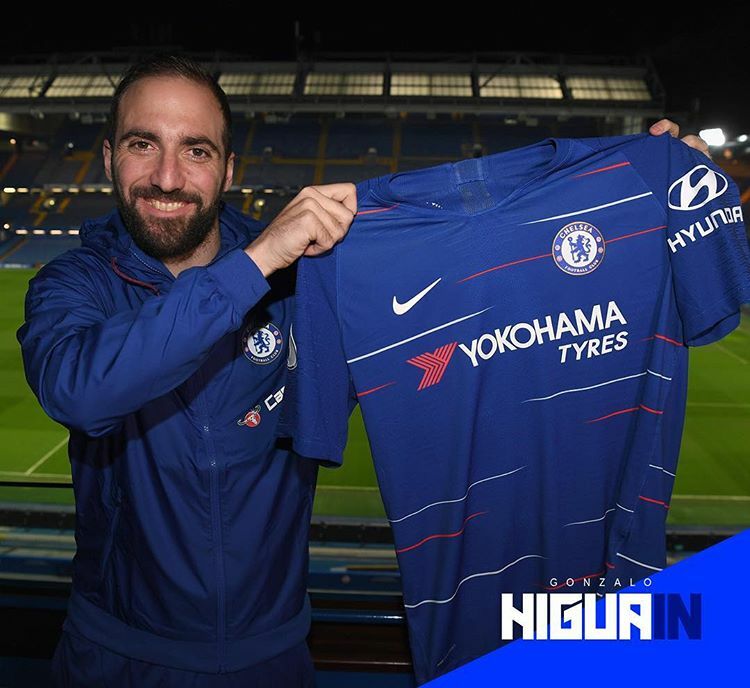 The 31 year old Higuain moves from Italian side Juventus, though he spend first half of the season on loan at AC Milan where he scored eight goals before joining Chelsea. Higuain is a proven goalscorer through out his career, and has scored some multiple goals for Argentina. He arrived with wealth of experience at the highest level having shown his attacking quality during his time in Argentina, Spain and Italy. 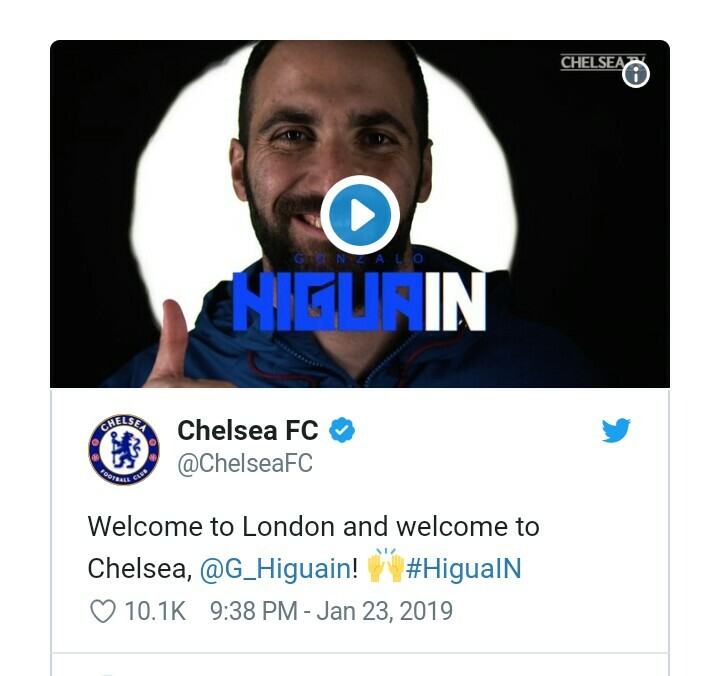 Higuain previously play under Chelsea coach Maurizo Sarri at Napoli during 2015/2016, where he finished as a top scorer in Serie A he scored 36 goals that year. 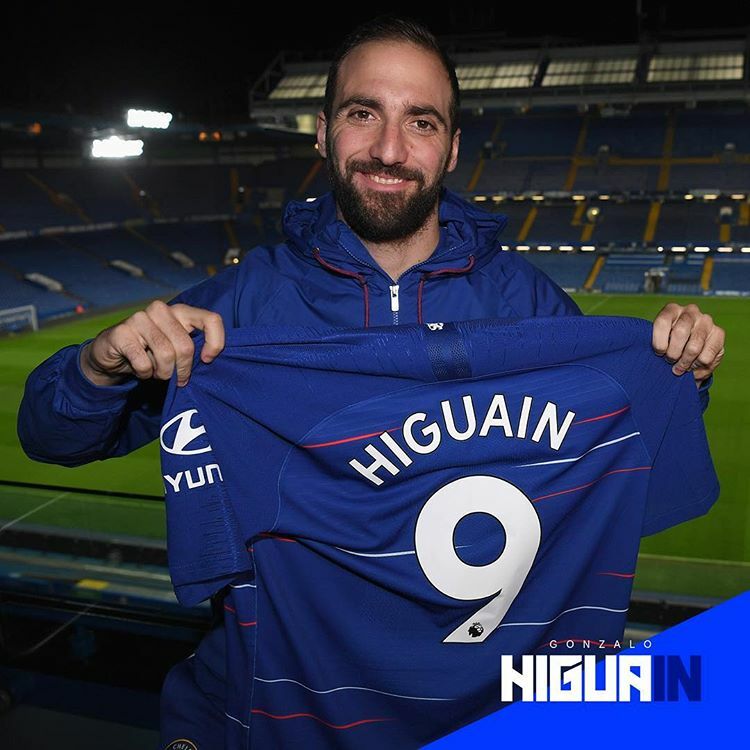 Upon completing his loan move to Chelsea, Higuain, will now wear the number nine shirt. 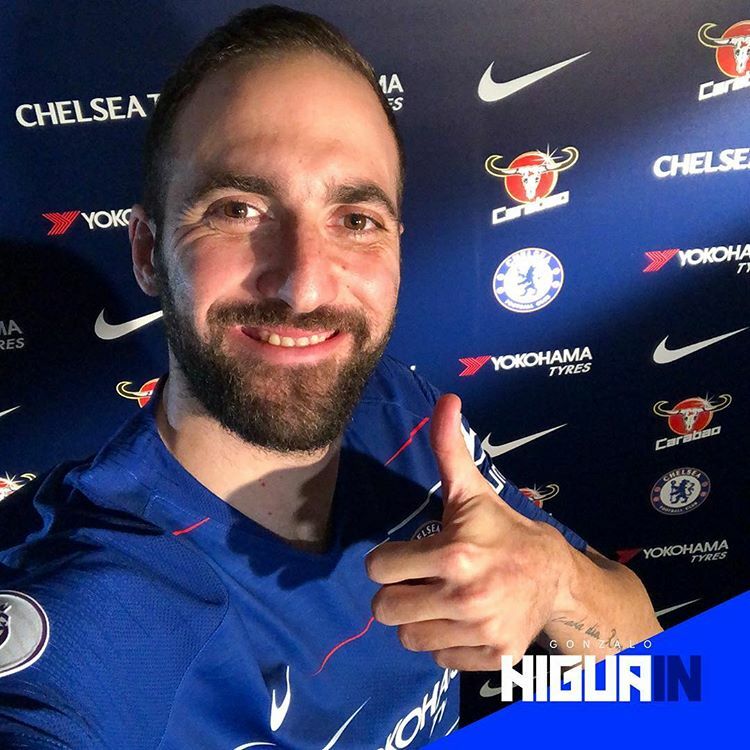 Higuain in a statement said: ‘When the opportunity to join Chelsea presented itself I had to take it. It’s a team I’ve always liked that has a lot of history, a wonderful stadium and they play in the Premier League, a league I’ve always wanted to play in. We do hope you adapt quick..